Every year I trawl around the Leftfield area of EGX like a massive toddler – “I want entertaining – entertain me with something new!” is the internal whinge. This used to be true of the Rezzed area too, but unless I want to play party game or VR then that’s not happening! So nested part way through the dimly lit corridor of the Leftfield section there was a gorgeously captivating game being played. Mesmerised by the games’ look I barely even noticed Mike Bithell (he of Thomas was Alone and Volume fame) was sat there playing the game with a similar look of wonder on his face. Once that Bithell bloke scooted out of the way I plopped myself down, slipped on the headphones and was instantly feeling chill. 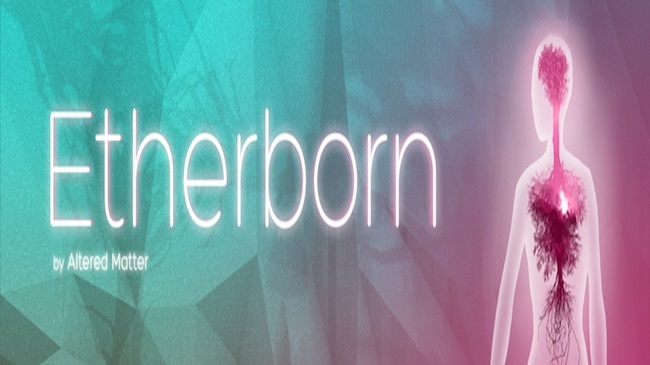 Etherborn is, to be reductive and crass, as if Monument Valley and Journey/Bound had a lovechild. It has the chilled out and organic feel that Journey/Flower managed, but incorporates the clean texture and angular surface of Monument Valley. It also has a similar puzzle mechanic too. 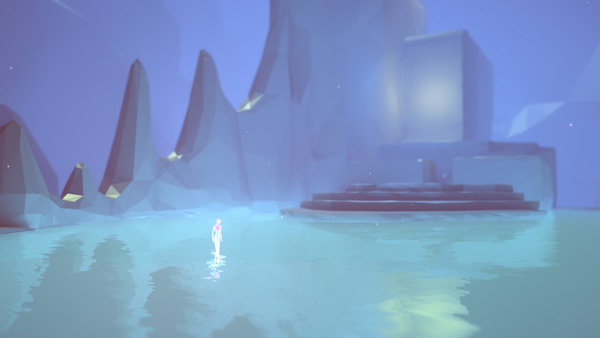 The main character experiences gravity in a direction perpendicular to the surface she’s standing on, allowing endless exploration possibilities in beautifully crafted environments. I’d have to agree with that. The environments are beautifully realised in a blurry, fuzzy, oversaturated, glowy way that makes you want just chillout in the world and explore a little. Puzzles are of the world rotation variety. You move things around to line up angles and surfaces in certain ways then move your character through axis to new planes. 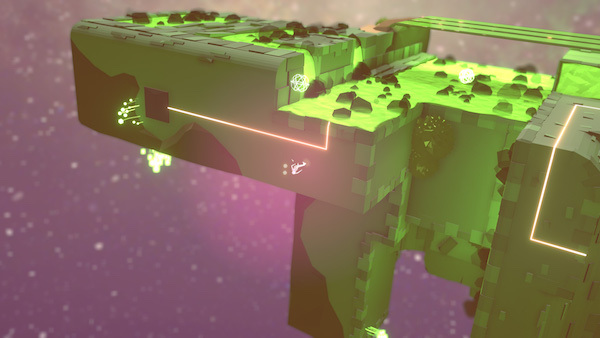 There are puzzle elements thrown in too with balls of light that must be retrieved and placed on switches to move certain obstacles or platforms around. Overall the game ran pretty smoothly for a title in the Leftfield section of the show and the world/puzzling were mostly on point. A few times the camera threw me off balance and I ended up plummeting to my doom – This would need a little tightening up or perhaps borders on the edges to prevent falling off – sometimes you do struggle to know your place and path in the world. I played for about 25 minutes in the end and was thoroughly entertained, if a little frustrated at times. As well as the positional issues I also found a couple of the puzzles a little tricky in spots, mainly due to not knowing the mechanics well enough or struggling with lining up a section/my character. All told Etherborn looks a very interesting title. 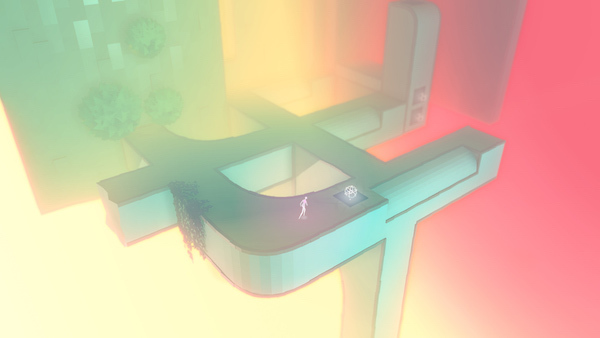 Fantastically realised aesthetics mixed with some novel in-world physics serves up a unique and almost zen-like platform puzzle game. 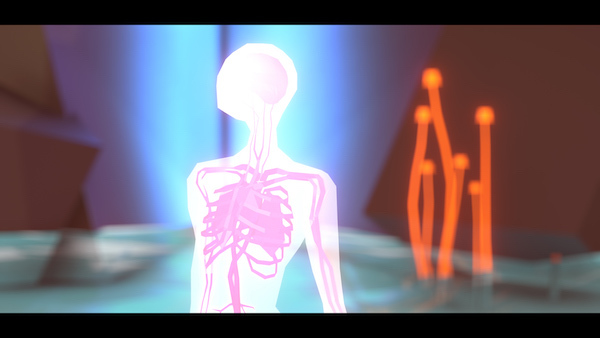 Etherborn is being developed by Altered Matter and is targeting a 2018 release date on PC and major consoles.